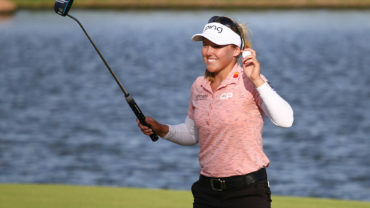 CARLSBAD, Calif. – Morgan Pressel matched the course record with an 8-under 64 on Friday for a share of the second-round lead in the Kia Classic with Mirim Lee. Pressel had eight birdies in her bogey-free morning round at Aviara to match Lee at 10-under 134. The American won the last of her two LPGA Tour titles in 2008. 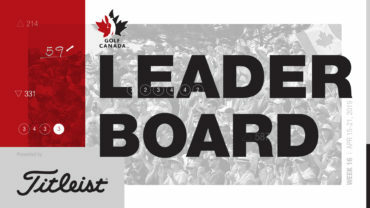 Top-ranked Lydia Ko was tied for ninth at 7 under after a 70, her 26th straight LPGA Tour round under par – three short of Annika Sorenstam’s record set in 2004 – and 29th worldwide. 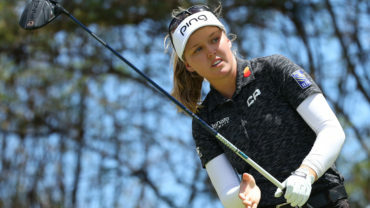 The 17-year-old New Zealander has two worldwide victories this year, winning the tour’s Women’s Australian Open and the Ladies European Tour’s New Zealand Women’s Open in consecutive weeks. She has 10 straight top-10 finishes on the LPGA Tour. Pressel matched the course record set last year by Dori Carter. Lee, the first-round leader after a 65, had six birdies and three bogeys in a 69. The 24-year-old South Korean player won LPGA Tour events last year in Michigan and China. Alison Lee and Cristie Kerr were 9 under. Alison Lee had a 66, and Kerr shot 68. The 20-year-old Alison Lee is making her fourth LPGA Tour start as a professional. She won the Pac-12 title last year as a freshman at UCLA and was co-medalist at Q-school. The 37-year-old Kerr won the last of her 16 LPGA Tour titles in 2013. Fourth-ranked Hyo Joo Kim birdied her final hole for a 68 to join Brittany Lang (68), Maria Hernandez (66) and Yokomine Sakura (67) at 8 under. The 19-year-old Kim, from South Korea, won the Founders Cup on Sunday in Phoenix for her second LPGA Tour victory in 13 career starts. Third-ranked Stacy Lewis was 7 under after a 69 in the final event before the first major of the season, the ANA Inspiration next week in Rancho Mirage. She was second last week in Phoenix. Second-ranked Inbee Park was 6 under after a 70. 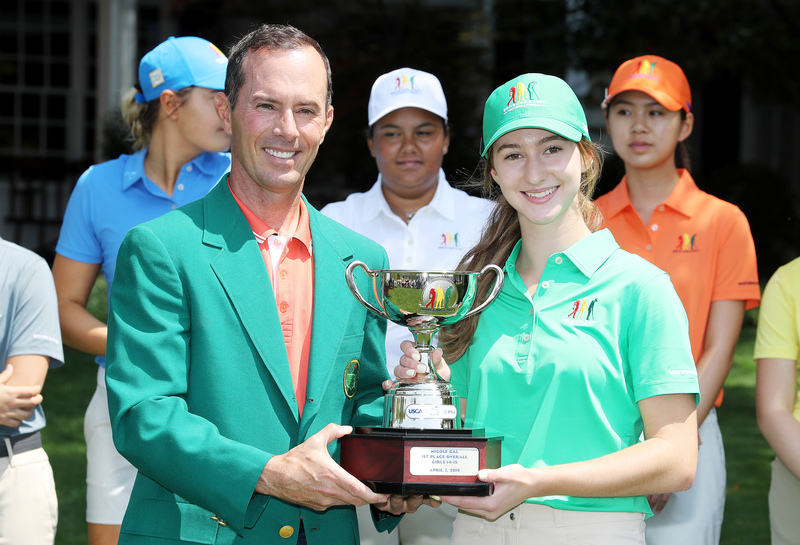 She took last week off after winning in Singapore and finishing second in a Ladies European Tour event in China. Defending champion Anna Nordqvist had a 69 to reach 3 under. Yani Tseng, a stroke back after an opening 66, had a 76 to drop into a tie for 46th at 2 under. 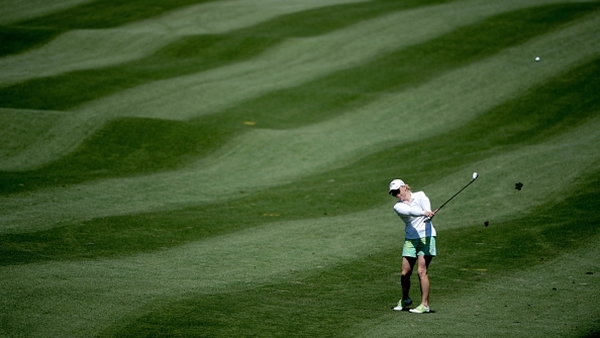 She won the 2012 event at nearby La Costa for the last of her 15 LPGA Tour titles. Michelle Wie was 1 under after a 74, as is Canada’s Alena Sharp who had a 74. The pair have a share of 59th.